Retirement planning is a tricky business. There are plenty of things you should definitely be doing, and plenty of things you should avoid, at all costs. And one thing to ensure you’re doing is preparing financially. Given how hard it is to find a job, at any age, ensuring you have enough cash to last you through your senior years is vital. And, rather than just tossing some spare change in a pot every week, you have to take things to a slightly more advanced level. It’s never too late to start preparing - but the sooner, the better! Here’s what should be on your list. 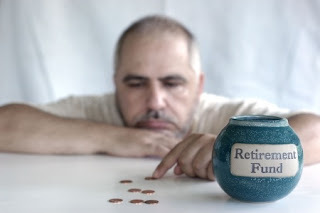 Most of us will be entitled to a state pension, but very rarely is this enough. This will allow you to live, but at a basic level, with very few luxuries involved. Which is why setting up your own private pension would be a wise idea. Alternatively, enquire with your current employer, to see if they run such a scheme. You have to start playing the long game - today. By investing some of your cash for retirement, you can ensure you're met with a lump sum when that day comes. As a result, an uncomfortable retirement just got transformed into a happy one! There’s no shortage of options either. You could buy shares in an up and coming company, to sell them on when they become of more value. Alternatively, you could look into a self-directed IRA, which gives you more control over your investment. There are plenty of ways to get advice on that investment, too. From an IRA custodian provider to a financial adviser, ensure you’re getting the help to keep you making the right choices! As you get older and you get less and less dependants, it’s unlikely you’ll be needing that life insurance. Instead, as your age keeps rising, it’s far better to look into critical injury and illness insurance instead. Contents insurance may also become less applicable to you as well, as you rely less and less on material goods. If you’re moving into a senior home, then you won’t need any kind of buildings insurance whatsoever. It’ll be incredibly hard to pay off any debts once you retire. Without a steady source of income, your debts will start to pile up and you’ll be powerless to stop it. So act now! Do whatever it takes to ensure you’re free before you hit retirement age. You’ll regret it if you don’t. Your circumstances may have changed over the years. You may have come into more money or assets. You may have a new child, or a new grandchild. All these changes need to be factored into your will where possible. Retirees are entitled to a select amount of benefits, in most cases. Some are about your physical and mental state, while some are based on your wealth. By knowing which benefits you may receive, you’ll be able to adequately budget for your retirement.